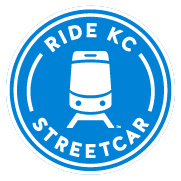 KC Streetcar | Video Opportunity! The Kansas City Streetcar Authority (KCSA) is issuing this Request for Proposal (RFP) to firms or individuals interested in providing video design and development services (Proposers) to support the design, development and final production of KC Streetcar informational videos. The short format videos will be used to support the communication of KC Streetcar Authority’s safety and general information campaign. To be considered for this video design and development project, please submit the following information to Ebony Jackson, re: Video RFP, toejackson@kcstreetcar.org by Noon, July 8, 2015. Proposals received after the deadline may not be considered. Click here for the full KC Streetcar Video Design + Development Project RFP.